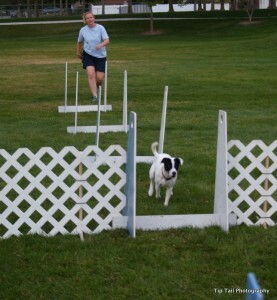 Well as this is posted on my blog I’m doing flyball with Chase. And hopefully Jet gets to do some run-backs and even some full lanes. I hope so. He’s such a good boy. Flyball practice last weekend was really making me think about, and appreciate, the importance of foundation training with puppies. Most of my dogs are rescues… and Lucy and Levi, who are not rescues but didn’t get any foundation training at all, show the difference between a puppy trained as soon as he steps into my house, as opposed to a dog that was not given any foundation training at all. It’s a world of difference. From getting Jet at 11 weeks old, I started obedience and agility foundation training. Focus work, having him pay attention to me and having fun with me. I have never gone to the lengths of wanting him to only work with me, though. On the contrary, I love it when he works for other people as well. But I want him to know that training and work is a lot of fun! I wish work was as fun for me! From basic heeling to basic jump training, contact board training, retreiving, and other fun things you can do with a puppy, I’ve convinced him that it’s all fun! 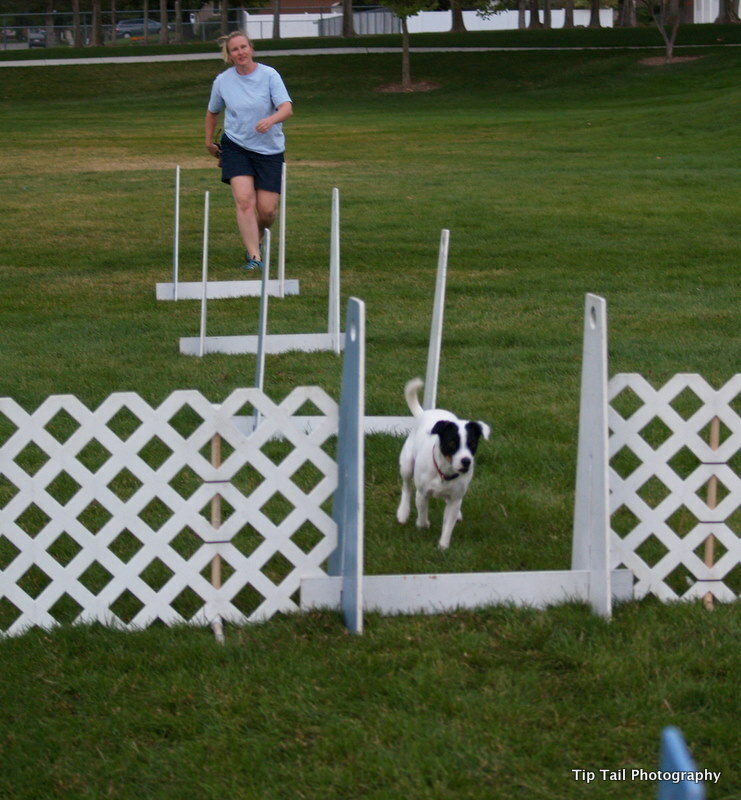 And so now when we learn something new, like flyball… and I really haven’t worked much flyball with him, because of all the foundation training… now with something new, he’s awesome, focused, and just a darn right good boy! Foundation training. It’s awesome. Unfortunately it helps when you have a well bred healthy smart puppy, too. If you get a rescue, you’ll have more of a challenge. Of course if you have another breed, you’ll probably have more of a challenge. But Jet, being a Danish-Swedish Farmdog, an absolutely remarkable breed, from an awesome breeder, just helps is so many ways! I do wish my work was as fun, and I wish finding best way to lose weight was also fun, but alas… dog training is just more fun! You are so right about foundation training, with the first dog I wanted to do performance with, foundation things did not sound as exctiting, but boy you quickly see how valuable and how much fun it can be. I think if the trainer finds it fun they can make it fun…then the dogs think it is the best and have a good attitude the rest oftheir lives with learning. You do fantastic foundation training, it shows in how your dogs learn!